We want all our patients to experience positive and efficient care in a friendly environment. Our approach as a general and cosmetic dentist in Seattle focuses on how we can help you and your smile. Our approachable and courteous team always listen to your needs first. As your health partners, we want to hear your primary concerns and anxieties before starting any treatment. We promise never to judge you but rather to help you achieve your goals. We sincerely want you to be proud of your smile, which is why we involve you in the planning process. Both Dr. Kollia and Dr. Fu will take the time to review your treatment options and create a plan you feel confident in. Once you are happy with your plan, we put it into practice through first-class dentistry using modern techniques. Each step of your treatment will be explained and performed by our experienced team. Truly, it is the people who make your dental experience special - and our team is one of a kind. Dr. Kollia started Aesthetica Contemporary Dentistry so the people of Seattle could benefit from a new type of modern care. She has carefully designed our practice to balance patient comfort with superior healthcare. Our office is filled with innovative equipment to make your stay efficient and most importantly, worthwhile. We offer convenient technologies such as CEREC® Same-day Crowns, digital radiographs, and intraoral cameras. These help us provide faster, more accurate treatments and enable you to receive the highest level of care possible. Along with our comfortable surroundings, we possess a team who is personable, kind, and reliable. Each team member not only cares “for you” but genuinely cares “about you.” We show this by going the extra mile to make sure your needs are met. Whether you are anxious about your visit or aren’t sure what treatment you need, our team will do whatever it takes to accommodate you and guide you to your end goal. We Are a Highly-Acclaimed Office! Take our 3-D office tour. 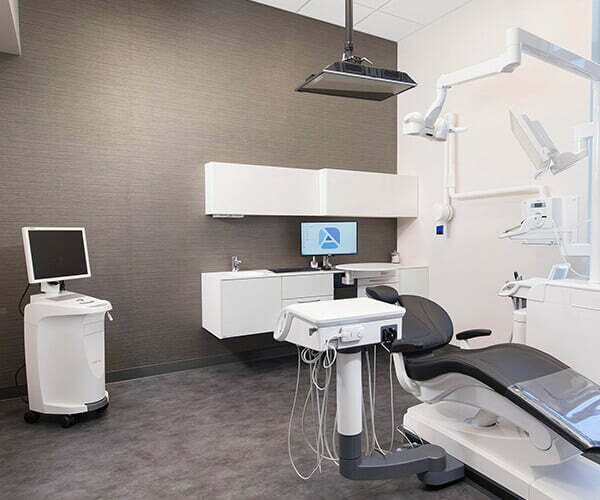 We use modern technology that is cohesive to bring you high-quality dentistry in Seattle. 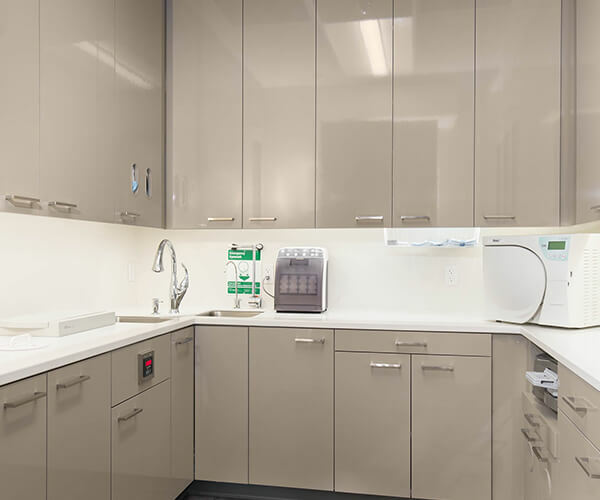 A focal point of our treatment room is the Sirona treatment center. 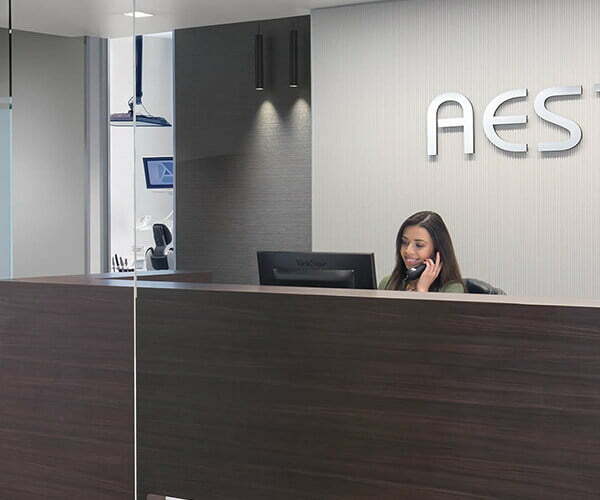 These chairs are fully integrated with cameras, CEREC®, and a monitor. This helps Dr. Kollia to provide more efficient and predictable dentistry. All our systems are completely digital and integrated into our secure software, allowing us to access your information instantly. Our digital x-rays also provide more convenience and safer treatment for patients. This environmentally friendly approach continues with our building, which is in the process of receiving LEED certification. As part of our commitment to open communication, we use the latest technology to keep in touch. This includes timely text and email reminders before your appointment. Using optical impressions (no uncomfortable impression material) we create same-visit crowns, onlays, and inlays in our office. No repeat appointments, just great results! Contact us or ask us any questions by filling in the form below.